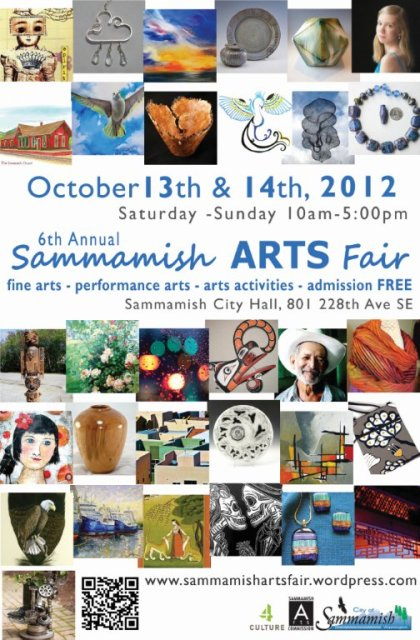 I’m so honored to be one of the artists for this year’s Sammamish Arts Fair! My husband’s birthday is today and while in the 15+ years we’ve been together I have given him my art, I had never created a piece FOR him… until now. Scott used to take our son Trevor snowmobiling when he was little and could sit in front of Scott (for those who do not know our son is profoundly autistic). Trevor is very “stimmy” as many of those living with autism are. For him that means he is constantly rocking, flapping his arms and jumping. As he was getting bigger these behaviors made it impossible for him to sit in front of Scott when snowmobiling. There were several years where they didn’t have an activity like this. This past spring Scott took a Harley with a sidecar in on trade at work and brought it home to see if Trevor would like riding in the sidecar. HE LOVED IT!!!!! Now onto our daughter Elly. Elly is a typically developing fireball who races motocross! I’m am so thrilled that our daughter isn’t a girlie girl so Scott gets to be a motocross dad! 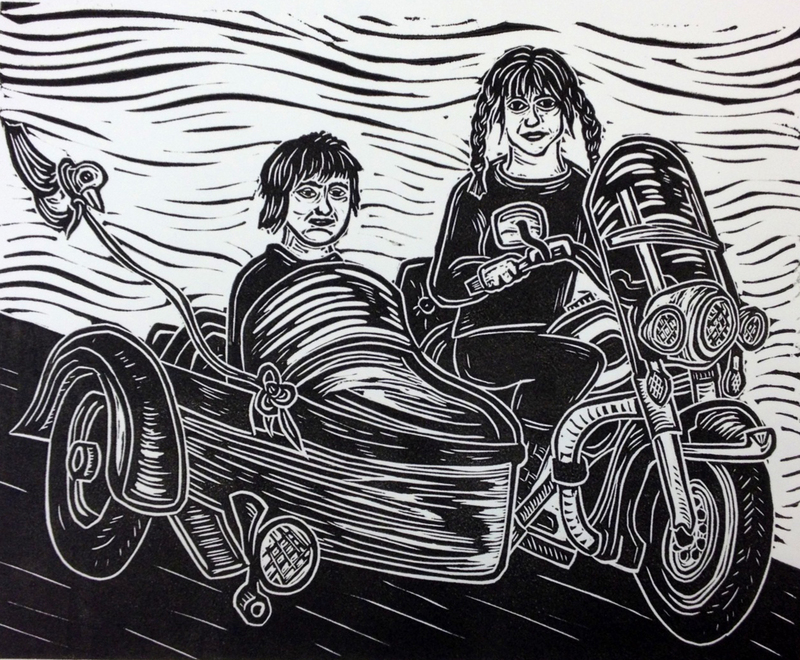 This is where this linocut comes in. I delivered it to Scott at work today (and yes, he cried!). It’s our kids doing what he loves, riding a motorcycle! P.P.S. The story behind the duck on a string… Trevor likes to have a stuffed toy (usually some type of bird) with him when riding in the sidecar so the bird can FLY next to him. After a few times of having the toy fly out of his hand we wised up and started tying it to the sidecar! I’m out of my mind with love and gratitude! Jackie Fedyk & my book project on Kickstarter exceeded our base goal in the first day! (which was just enough for a publishing package). Now we are being backed further so we can actually do a run of books and do some book tours, etc. My heart is overflowing and my soul is fueled! I’m so proud of this project and to see the response is phenomenal! Much love to all supporters of the arts! Our book project is live on KICKSTARTER!!!!! 30 days to make our goal!!!! I just love the phrase “Wonderous Stories”. 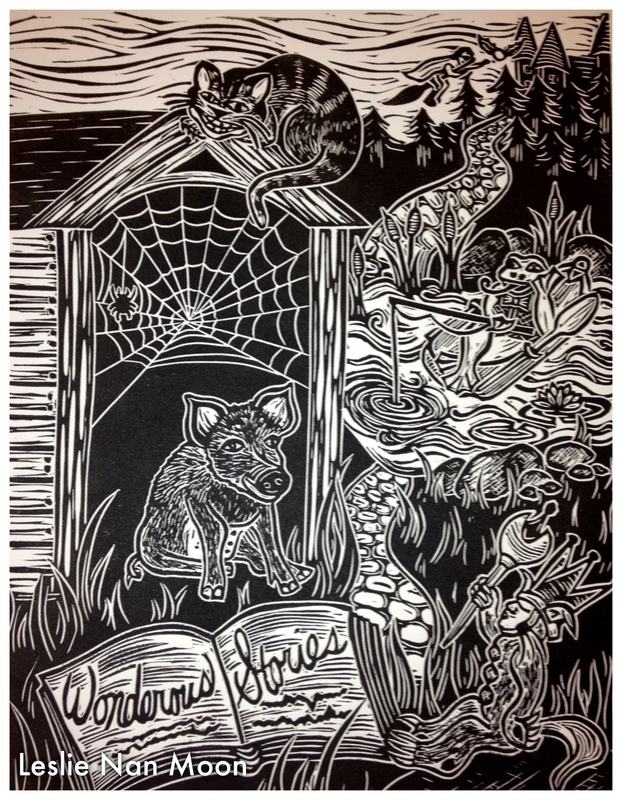 I decided that I should make a linocut stemming from it with characters from some books you probably love too! You are currently browsing the Lesliemoon's Blog blog archives for September, 2012.